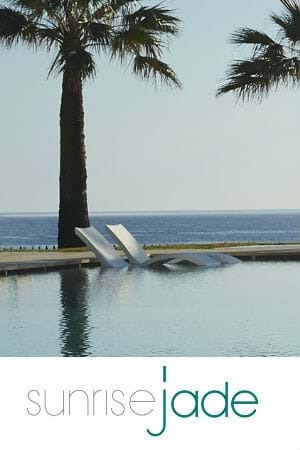 The Sunrise Pearl Hotel & Spa has quickly established itself as the leading hotel in the resort of Protaras. A luxurious and stylish hotel with an impressive range of facilities and an unrivaled standard of personal service and comfort. 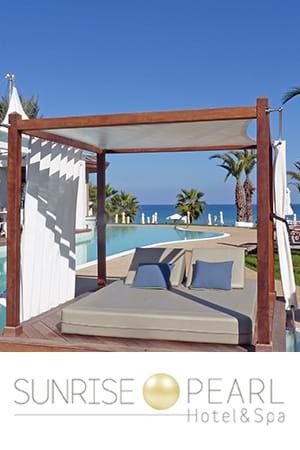 The hotel stands on what is regarded by many as the most beautiful beach on the island of Cyprus with calm, clear waters and gently sloping fine golden sand. The hotel is also conveniently located in the centre of the tourist resort of Protaras where all the amenities of the resort can be reached within a short walking distance. 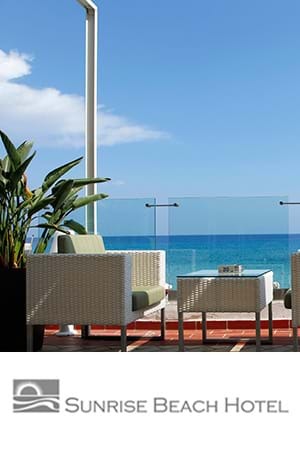 The Sunrise Beach Hotel is ideally situated on the finest stretch of golden sands and crystal blue waters. Guests are a stone’s throw away from this magnetic beach and just a short distance from the numerous shops, bars, cafes and restaurants. The Hotel has earned its status as a luxury accommodation by nurturing a holiday experience based on the basic principles of prime location, friendly service, modern facilities and great food. These principles have enabled us to build a loyal following of repeat guests who we hope to be able to host for many years to come. The Sunrise Gardens is situated in the centre or Protaras resort and stands only 200m from Fig Tree Bay, which is officially declared to be among the top beaches in Europe, with golden sand and crystal-clear water. 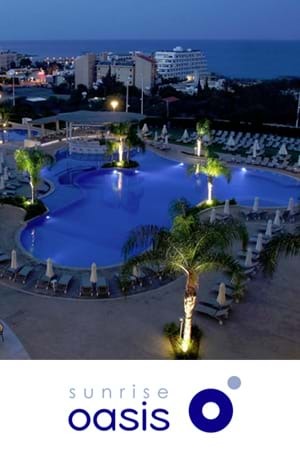 The Sunrise Oasis Hotel is located in the centre of the beach resort of Protaras, in an elevated position enjoying great views overlooking the excitement of the town and the enchanting beauty of the Mediterranean Sea. 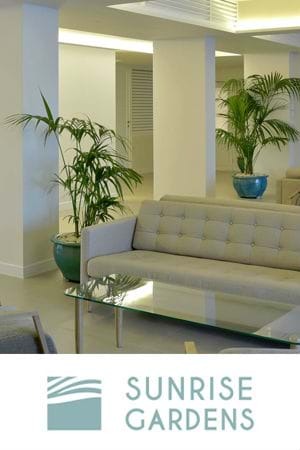 The complete renovation of all the apartments, lobby and pool areas has pushed the Sunrise Oasis into a league of its own in providing luxury self-catering accommodation in Protaras. The Sunrise Oasis has a large number of repeat guests and has gained recognition amongst couples and families, by maintaining a high standard of service from a team of friendly professionals. The Sunrise Jade Hotel is the newest addition by Sunrise Hotels, and its first hotel exclusively for Adults. The 5 star Sunrise Jade will build on the excellent reputation of the other Sunrise Hotels, setting the highest standards in luxury accommodation and friendly personalised service. The Sunrise Jade Hotel will officially open its doors to welcome its first guests on the 1st April 2019.